373 Heritage Dr, Hoover, AL.| MLS# 846507 | Richard Jacks UABLIVING.com 205-910-2297 | Birmingham AL Real Estate | Contact us to request more information about our Homes for Sale in the Birmingham AL area. The perfect combination of style, location and price! 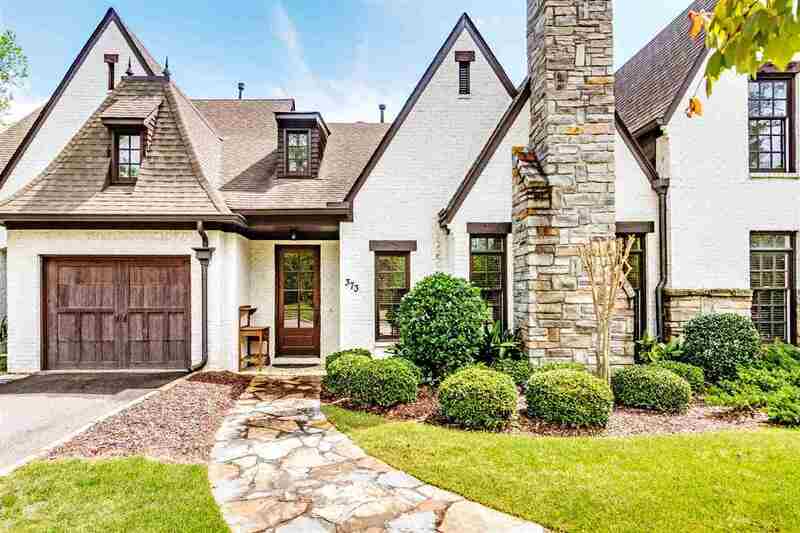 This custom-built European-inspired town home in the heart of Hoover offers the finishes you desire without the high-end price. The ultra stylish main level has an oversized living room, floor to ceiling stone fireplace and a modern eat-in kitchen with granite countertops, stainless appliances and ample cabinet space. The kitchen opens onto an oversized terrace with a high-end, custom covered awning (2016). The main level master ensuite has a double vanity, luxurious soaking tub, separate tiled shower and a large walk in closet. Two bedrooms upstairs with Jack and Jill bathroom. Finished basement with a fun home theater, accent brick wall, a wet bar and 1/2 bath. Rear entry 2 car garage and parking in front. Gated community with community BBQ area, sidewalks, and streetlights. Exterior Painted (2016) Lawn service included.